There’s never been a better time to go to Kenya, as while tourist numbers are down you’ll get better deals to travel there than ever before. Kenya is EBOLA FREE (the ebola zone in west Africa is closer to London than it is to Nairobi) and the terrorist attacks that have been highlighted in the news, including the one at Westgate shopping centre last year, are nowhere near the safari areas. Those in the know are making the most of the great deals while they last! I’ve managed to secure an amazing deal for a group to join me in the world famous Maasai Mara ecosystem from 15-21 July 2015, so if you’ve ever wanted to see this incredible country at its finest and in style, with your own personal zoologist on hand to ask about everything from the antelopes to the dung beetles, now’s your chance! If it’s half as good as my last group safari to Botswana then those who join me on this safari are in for a real treat. As always on the tours I lead, I’ve picked the camps to ensure complete comfort in the bush, but the real advantage of these camps is the exclusivity. I always try and pick camps that operate in partnership with local indigenous communities, and this safari is no different. Plus, because the camps are in private game reserves, you get the huge numbers of wildlife without the huge numbers of people – and that makes a big difference when you’re on your safari of a lifetime – trust me! So this safari kicks off in Nairobi, the capital of Kenya, with a night at the Ol Sereni Hotel, a hotel in a game park in the city (yes really!). We have a private viewing with the adorable orphaned baby elephants and their wonderful keepers at the David Sheldrick Wildlife Trust that afternoon, organised just for us, an experience you’ll never forget. 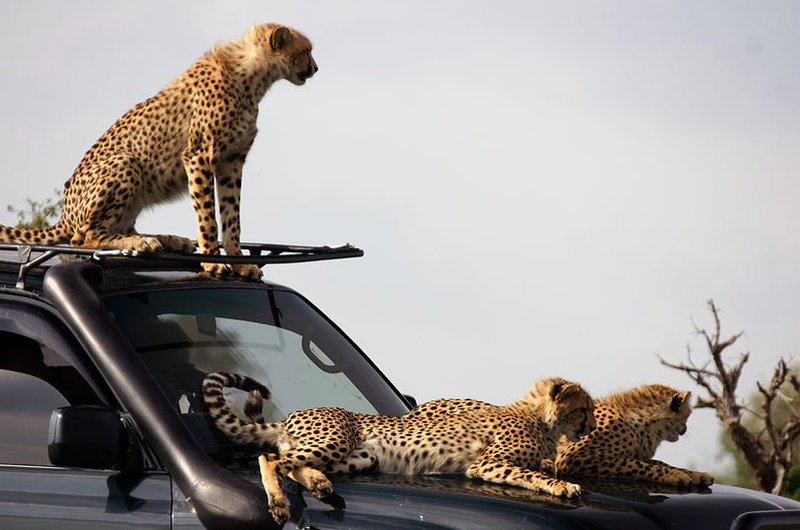 Then the next morning, it’s off to the Maasai Mara for the wildlife experience of a lifetime! I’ve intentionally picked July to go as that’s the start of the Great Wildebeest Migration. With nature of course there’s no guarantees, but July-October is generally the time of year when your chances are best of seeing the wildebeest migration in this part of Africa. The area is also famous for its big cats and has an abundance of plains species, including giraffes and zebras. Our first camp for two nights is Naibosho Camp, a community partnership with the local Maasai community. It’s part of the 50,000 acre Mara Naibosho Conservancy and adjoins the Maasai Mara Game Reserve, which we will visit during our time there. Naibosho literally means ‘harmony’ and every aspect combines comfort with considerations for the environment, providing a luxury tented camp that touches the earth lightly and benefits the locals. 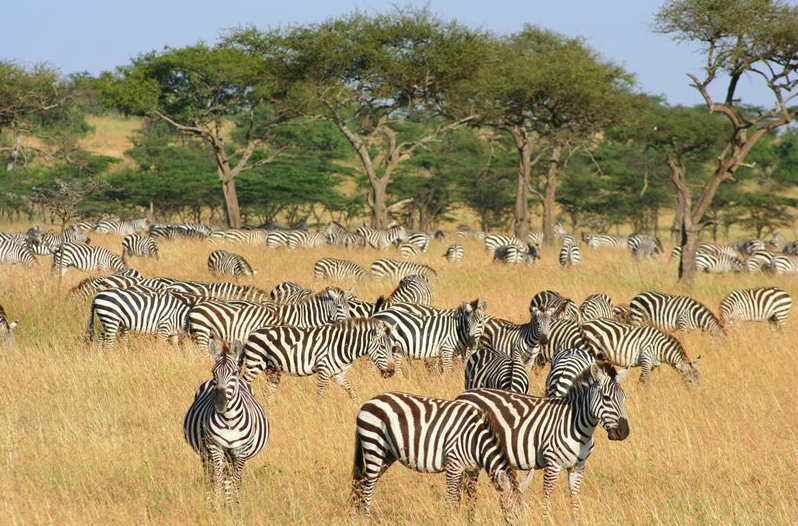 Here you can expect to see everything you’d see in the Maasai Mara Game Reserve itself, but without the crowds. Then we have 3 nights in two private houses, the Mara Bush Houses, in a different part of the Maasai Mara ecosystem. Each room has its own private ensuite and of course, the whole experience is tailored for you, with private vehicle and guides of the highest standard. This area is run in partnership with a local Maasai family, the Looseyia family. 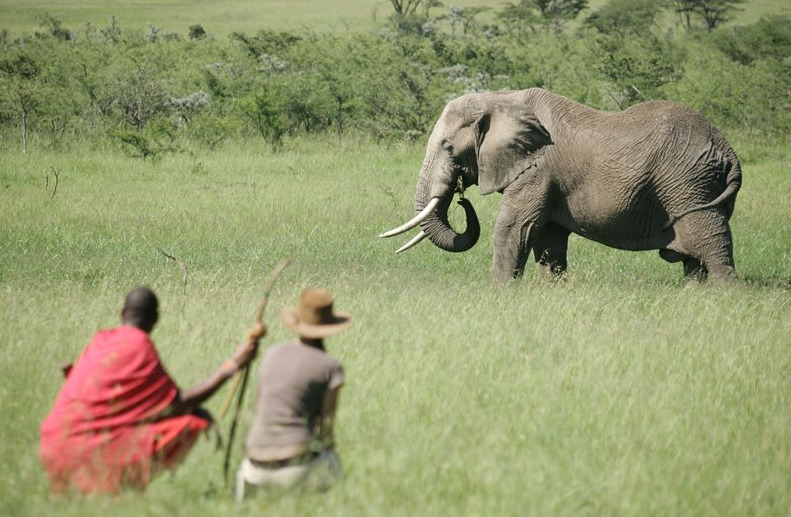 If you’d like to join me on this exclusive Maasai Mara safari for an unforgettable week, plus our own private viewing at Daphne Sheldrick’s famous elephant orphanage, let me know by clicking here. Kids over the age of 12 are more than welcome as long as they are accompanied by a guardian/parent. Once you get in touch I’ll send you an itinerary and costing by email. Numbers are strictly limited (10-12) and places won’t last, so grab your spot now! 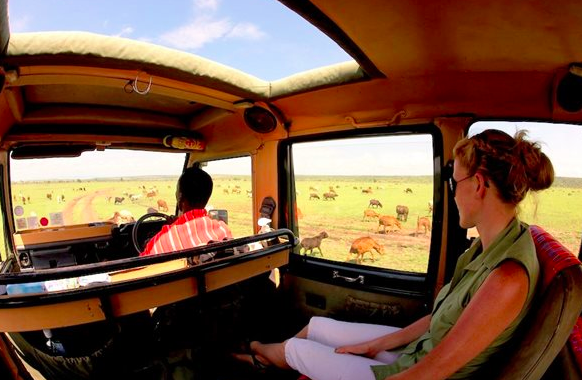 Dr Tammie Matson is a zoologist, author and director of Matson & Ridley Safaris. Hi, I’ve just sent you an email, but I can assure you that Kenya and Tanzania are worth every cent! My Kenya trip this July has been sold out for many months and has a wait list, but I’m doing another one in Feb/March if that would interest you, along the same lines at some of the best camps and areas in the Masai Mara and similar price at US$5300/person sharing. I haven’t had a reply yet? Hi Jen – just sending you an email – see you in Perth! Would you be able to send me some details on the cost and payment deadlines etc? Looking forward to seeing you in Perth soon! Rowena, it is a super trip! One of those once in a lifetime ones…. I’ve sent you an email. 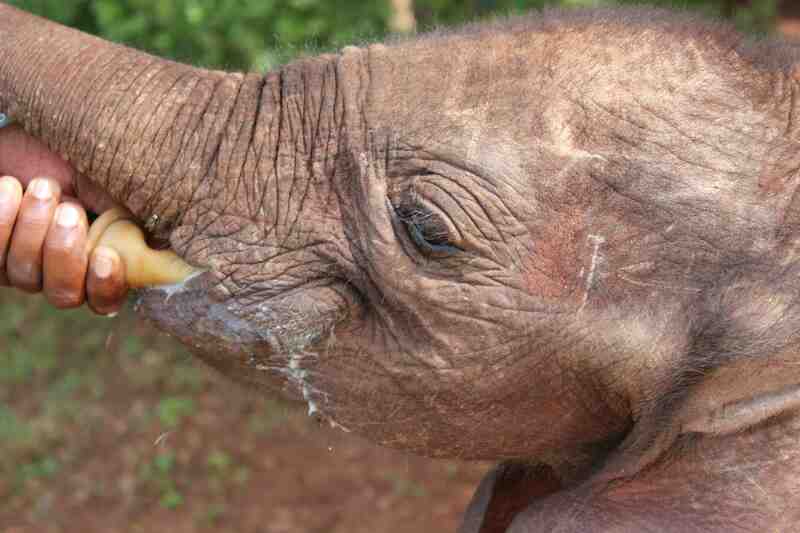 Main cost other than the safari is your international return flight, which is around $2000 from Australia to Nairobi. You need to cover a couple of other little costs like visa (US$50 for Australians for single entry) and travel insurance (around $100). Other than the meal on the first night, all meals and drinks are included in the cost as well. US$5,500/person sharing. This sounds a super trip – I know you may have filled up by now but please could you send me costs and any other expected extras? Hello Tammie, if there are any places left, could you please send me the info and and costs? Will email you Jackie – hope you can join us – limited spots now! Please could you send me the info, itinerary and cost too? This sounds lovely! Hi, I’ve been wanting to visit Africa for a while but thought a tour would be my best option. Interested to know cost of safari. Thanks. Hi Cathy – just sent you the itinerary – my safaris are pretty much all inclusive in price, other than your international return airfare and things like visas and insurance. When you get there pretty much everything’s covered (accommodation, meals, drinks, activities). I would love to join one of these trips if my work leave and bank balance allows. Could you please let me know the cost of the safari, and any additional costs which should reasonably be built-in? Sent you an email Virginia – thanks for your interest! I am interested to receive more info and cost. Interested for myself and husband.